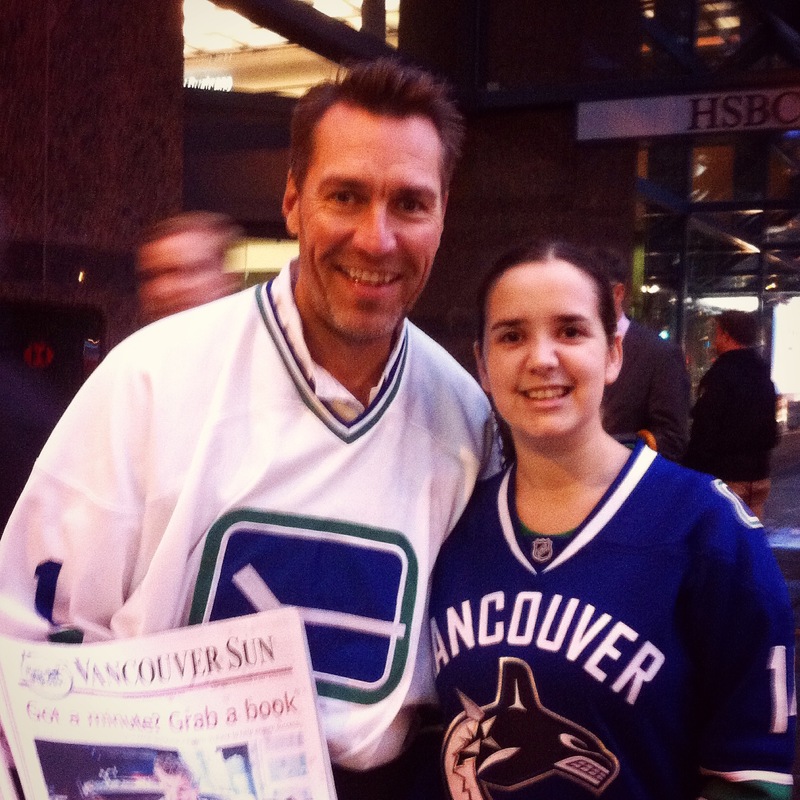 Every year the Vancouver Canucks participate in Postmedia’s Raise-A-Reader campaign that takes place across Canada. This year was no exception and they were out bright and early, and with Vancouver Canucks players downtown, it is a HUGE draw for fans of the team. It has become a start of the season tradition for my sisters and I to attend every year! The campaign went from 7:00AM-9:00AM. 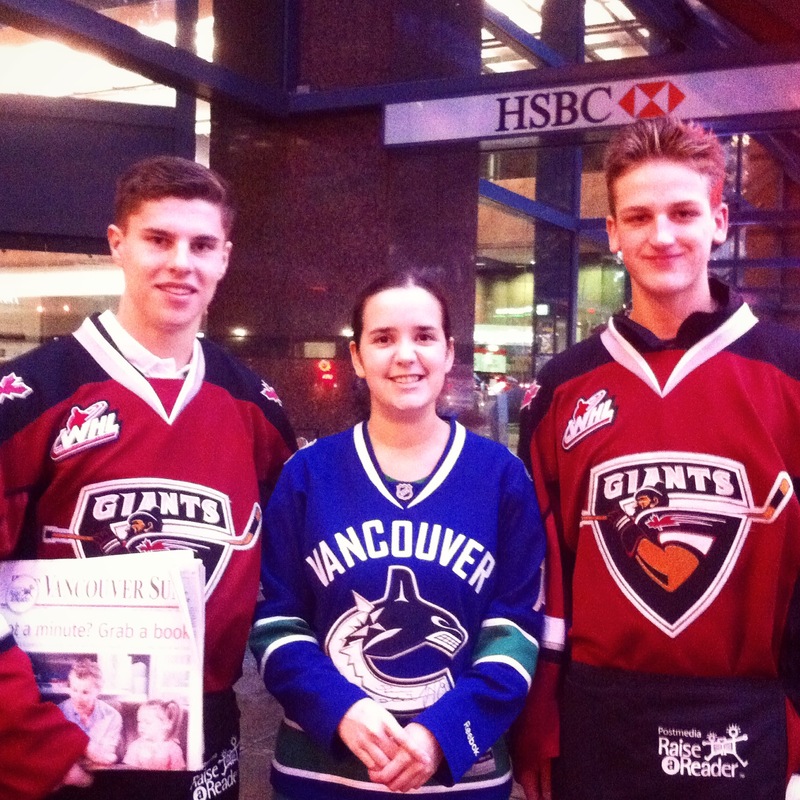 There were representatives from the Vancouver Canucks, Vancouver Whitecaps, Vancouver Giants, B.C. 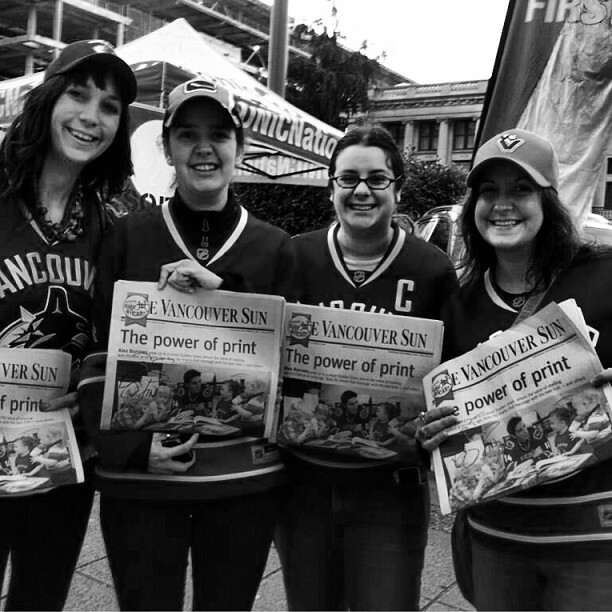 Lions, Global News, and of course the Vancouver Sun. You can guess who, I went downtown to see, right? Is it even a question?! Next, bring on the nostalgia and Vancouver Canucks! 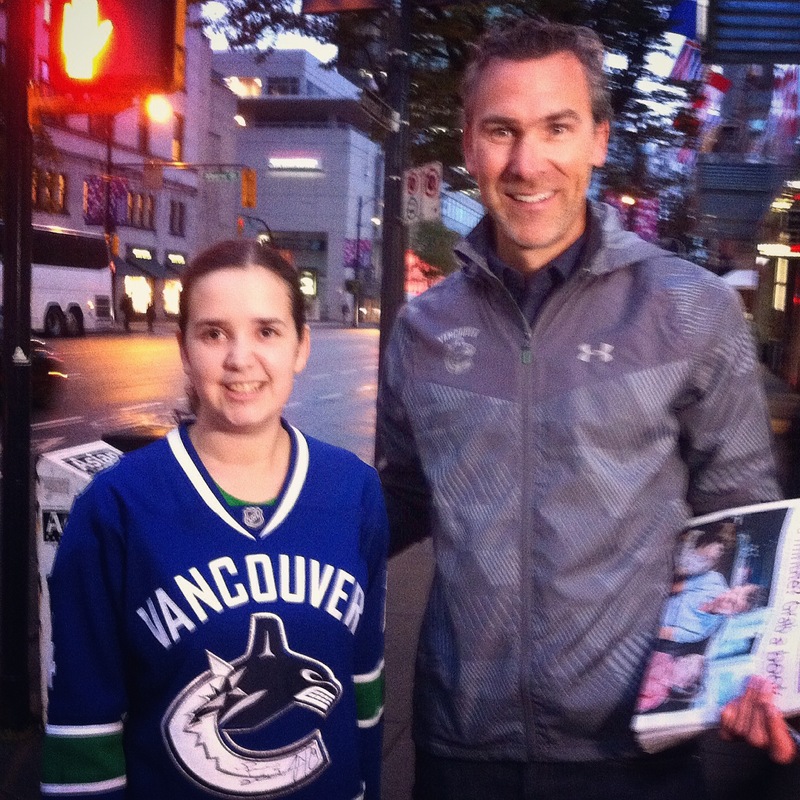 We also got to meet Mr.President himself, Trevor Linden. Thanks for talking hockey with me this morning, and giving me an incredible memory! 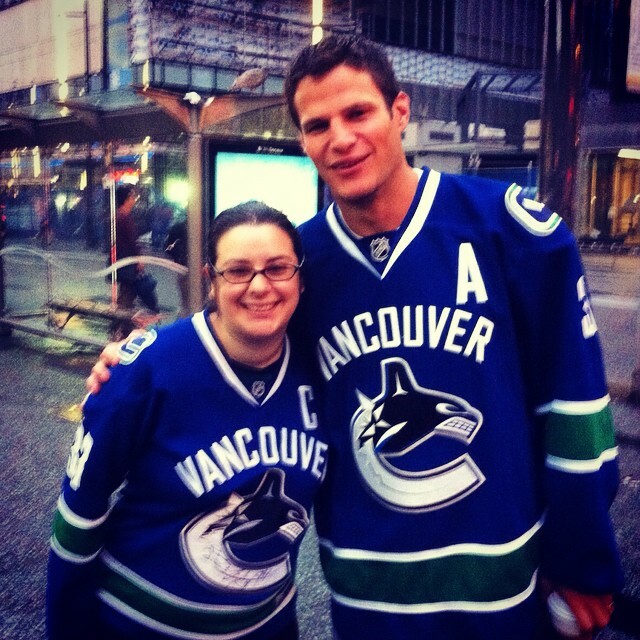 Last, but certainly not least, Kevin Bieksa who is just as comical and KIND in real life as he is in post-game interviews. That’s how we spent our Wednesday morning…meeting some of our favourite players, talking hockey and supporting an incredible cause to bring back the importance of literacy! Hockey and reading are two of my most favourite things, so it was fantastic to be able to combine those today! While it was incredible to meet some amazing people today, it is important to remember the importance of the day was not about the pomp and circumstance of meeting the celebrities, but rather about the children and helping to ensure that they will know the magic of imagination that comes to life through reading. If you can, please join the campaign to raise awareness of the importance of literacy! faster than the day before as players and teams gear up for training camps. as a new era begins with Captain Canuck at the helm. of the eighty-two game grind and think ahead with earning a playoff berth in mind. as the team looks to rebound on the ice, reigniting the excitement within the stands. vowing to play with greater determination than ever before. saves will be made and each shift will tell a tale of changes made in the off-season. as fans enjoy the absolute bliss of seeing their team skate away with victory. The 2014 off-season felt even longer than usual with having missed the playoffs BUT a new season is just around the corner! The Young Stars Tournament in Penticton, BC will give the fans an up close view of the team’s prospects prior to the start of training camp when they will join the veteran players to prepare for the pre-season. Will Trevor Linden handle the pressure of transitioning from former player to being an NHL executive? April 9, 2014 will go down in Vancouver Canucks history as the day Captain Canuck came home and was crowned Mr. President! 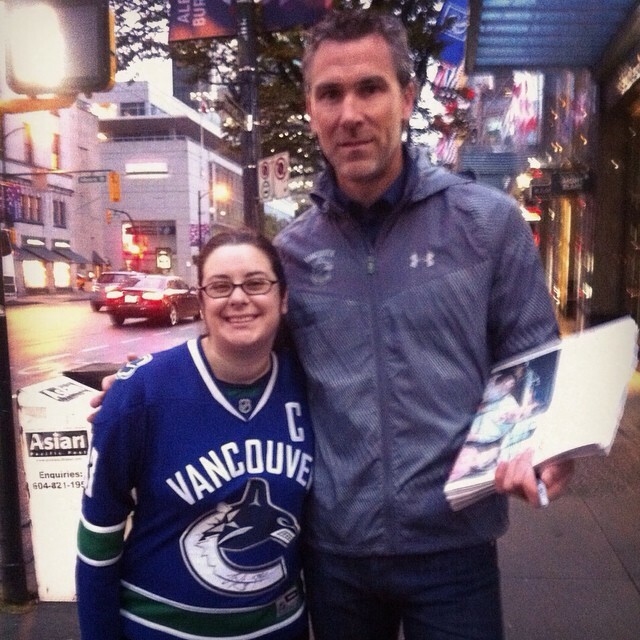 Fans were ecstatic to learn Trevor Linden was returning to the franchise to help bring back the excitement to the game. Of course, with his new work also comes great expectations and every decision he makes will be forever debated. He has had his work cut out for him since that first day on the job as he aims to help the team find their way back to the WIN column. His work began as soon as he suited up for day one, and his work will continue as long as he remains with the team. First order of duty he had to find a GM and the rumors that swirled about Jim Benning being hired became FACT when Linden made the official announcement. Benning and Linden (Team Lindenning, if you will) went into the draft saying they meant business and they wasted no time in making ripples in the water. It’s no secret that Ryan Kesler wanted out and wanted out, NOW…and had only TWO destinations in mind, limiting the possibilities of what the team could get in return. By the end of the draft, Kesler was no longer a Vancouver Canuck, the team had 2 first round picks, and acquired many new players both through the draft and various trades. The work in the off-season was far from done, the team still needed a coach. Will the Canucks adjust to yet another NEW coach? The outspoken Torts era did not last after a disastrous 2013-2014 season where nearly everything went wrong and by season’s end the team said “Adios, Torts”. The hiring of a new coach was not something that Trevor Linden and Jim Benning took lightly and they interviewed many candidates before hiring Willie Desjardins. Desjardins is coming off a championship season with the AHL’s Texas Stars. Having coached in the WHL and AHL, this is Desjardins first NHL head coaching position(he previously served as an associate coach with Dallas). Perhaps, Desjardins seems like an outside the box choice because of his limited NHL experience but perhaps that is exactly what the team needs…to start thinking outside the box. Desjardins is a players coach that has succeeded at every level that he’s coached at and has more than earned his chance at the NHL level. From day one he has been putting the time in with meeting the veterans, newly acquired players AND meeting the prospects….yes the prospects because every player within the franchise/system needs to and will be on the same page moving forward. Does that sound refreshing from last year’s approach of which the coaching staff was hardly ever, if at all with the prospects in any capacity. Last year’s new system was absolutely foreign to nearly the entire roster and it showed on the ice, each and every game. This year Desjardins will be coming in with his own system but one that will encompass helping the Canucks to rediscover their previous successful areas and strengthening the areas that need the team needs to be stronger. It may seem like that is too much to many on the outside but already this new coaching staff seems to be putting in the work with all of the players within the organization from top to bottom. Will that be a challenge? Yes, but the most difficult challenges can be the ones that are the most rewarding. Ryan Kesler is long gone in So-Cal. 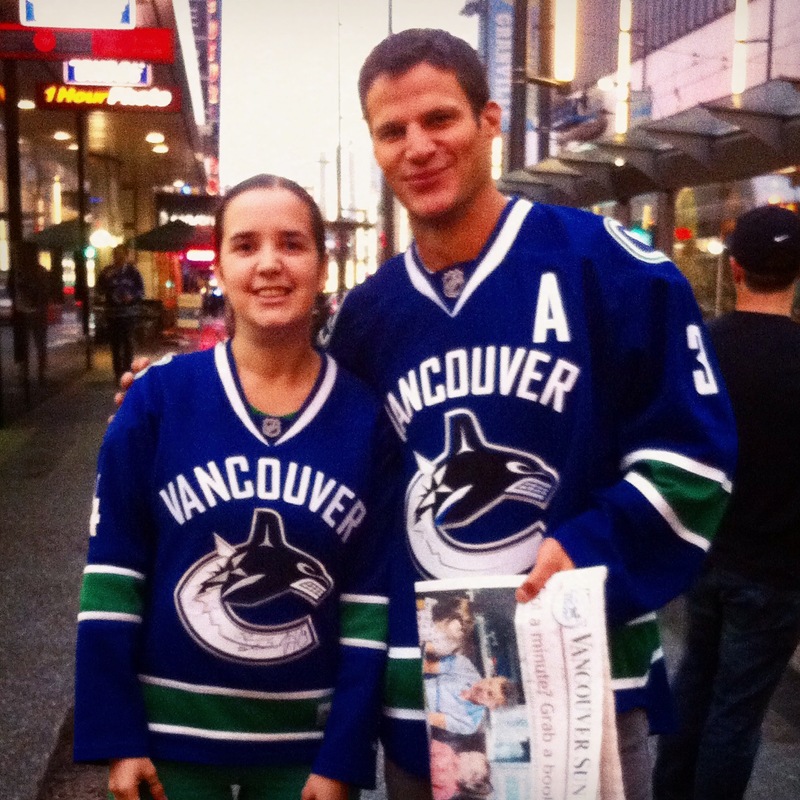 How will the Canucks fill the Kesler void and will anyone take his place? Adios Kes! The simple truth is that NO, no one will replace Ryan Kesler, but with his vacancy in the line up there is ample opportunity for MANY to step up. As much as the fans loved Kesler’s tenacity on the ice as one of league’s top two-way players, the fans HATED the way he exited, burning bridges on his way out the door. Kesler may not have left the team or this city on the best of terms, but that does not take away from his talent on the ice and the many good memories that he gave this city. No one will replace him and nor should they, each player should have their own story. Kesler has moved on, and that opens a gap in the Canucks offensive line up creating a HUGE opportunity for more than one player to step up and play a bigger role. Will that player be Nick Bonino who was acquired in the Kesler trade or a ready to play Zack Kassian or will an unpredictable candidate pop up during training camp? Unfair comparisons will be made all year long between Kesler and whoever takes his place but only time will tell us the answer and perhaps surprise everyone in the process. Will the Sedins rebound? Will everyone else? Last year, was a terrible season by both the Sedins. Last year they were told to change their playing style, played big PK minutes, struggled on the power-play, Henrik (the iron man who had not missed a game in 10 years!) missed 12 games AND the Olympics but probably should have missed more due to injuries, and Daniel missed 9 games due to injuries. The twins combined for 21 games missed due to injuries and that does not include the scare in the final game of the season that saw Daniel taken off the ice on a stretcher. Luckily, for Daniel and the Canucks, he proved to be okay with little or no after effects. Now some may say that the Sedins are fading and that we can only expect the point totals to continue decreasing over the next four years. I disagree. Yes, it is true that twins did not produce last season as we’ve grown accustomed to year after year; and yes they struggled all year long but you cannot expect to change HOW they play as Torts did and expect them to yield the same offensive results. Changing how they played, changed their on-ice results and disappointed many fans expectations. They are a huge part of the team’s offense and they will be called upon to be a big part of that this year. If the Sedins are given the opportunity to return to their roots and focusing on offense along with being productive on the power-play, then I have NO doubts that they can find their way back to producing a point-per-game pace. Let’s be completely frank, nearly every player on the roster had a terrible season under the new Torts system aside from maybe Chris Tanev. There were moments when the team shined (vs. Boston in December) but those were quickly overshadowed by the continuous downward spiral that began in January after the Torts hallway tirade. Does that mean that they will never find their way again? No. Injuries, suspensions and losing streaks have a way of getting in a player’s head and changing the way they carry themselves on the ice. – THAT happened to a more than a few of the roster players last year and at times, it was difficult to watch. The thing about players who have an off year, is, that they train harder in the off-season and they come back hungrier to prove themselves the next year. The team has had a long off-season to prepare for the 82-game battle and they all are determined to BE better and PLAY better than what they did last season. It’s a NEW year with a blank slate and everyone has an opportunity to start over. Will there be players that struggle? Probably, but there will also be players who will surprise everyone. Will Ryan Miller rediscover his Vezina captivating ways? Ryan Miller is an impeccable athlete and while the last few seasons have been far from perfect for him, he still has a lot that he wants to accomplish. There are those who say they think he will do well, those who think he will falter and those who hope to see yet another goalie controversy. As for me, I simply wish him the best, hoping that he will further mentor Eddie Lack while together they will stabilize the back end. It would be incredibly refreshing to see THIS city and the FANS simply support BOTH their goalies from the START, don’t you think? I have a feeling that Ryan Miller will be winning over a lot of fans this year. He did enjoy playing in Vancouver during the Olympics except for maybe that epic OT goal from Sidney Crosby, but this time he will have something he didn’t back then, the HOME crowd will be on his side! Will the team be playoff bound in April? I know that looking at this team on paper, that it will be no easy task to get into the playoffs, but I also know that anything can happen during an 82-game season. If getting to the playoffs was easy, then every team would be there every year and it would not be an epic battle for the Stanley Cup. I think that, yes, this team very well could be playoff bound in April, surprising a lot of people and I understand why there are many who say no, that it is a pipe dream. Can things really be as bad as they were in the 2013-2014 season? Let’s be honest, can things really be as bad as they were last year? Everything that could go wrong, DID, and watching the team some nights was like a nightmare. Remember the Islanders game (yes that 7-goal third period)? Henrik getting injured, not once but twice…did ANYONE see that one coming? I cannot promise that things will be perfect or that things will not fall off the rails once again this year. All I can say is: that there will be ups, there will be downs, there will incredible moments that we never saw coming and shocking moments that will take our breath away, there will be moments that break your heart, and there will be moments that make you stand still. No matter which of these moments that there are more or less of on the 82-game journey that makes up the regular season, I would not trade one of them away. Each season is a unique experience and a forever part of a team’s forever changing history. I look forward to watching history unfold this season, whatever it may be when the Vancouver Canucks return to the ice on October 8, 2014.